SAP HANA supports real-time data replication and hence removes unnecessary latency and complexity of data load. Following are the advantages of using SAP HANA as underlying database. SAP HANA developed interest by mid-2011 and various Fortune 500 organizations started considering it as an option to maintain their Business Warehouse needs. In 2012, SAP Business Warehouse powered by HANA was introduced to support real-time analysis and real-time reporting was introduced. In 2013, SAP Business Suite powered by SAP HANA was introduced that supported realtime business, OLAP, and Transaction on the same system. In 2014, SAP Simple Finance powered by SAP HANA was introduced for instant financial insight, no aggregates, and single source of data for reporting. In 2015, SAP S/4 HANA was introduced that provided a simplified data model, new user experience, advance processing, and multitenancy. S/4 HANA Business suite is based on the native HANA platform to support simplified data models, no aggregates, no indices, etc. 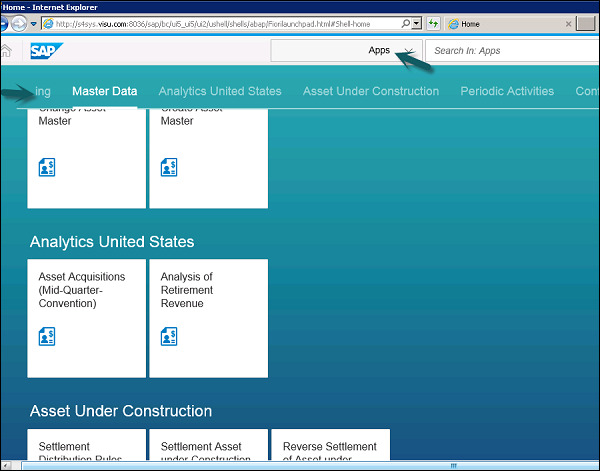 It has an integrated Fiori-based user interface and role-based access for different purposes. S/4 HANA is based on advanced in-memory platform and offers a personalized Fiori-based user experience to access role-based solution. It can be deployed over cloud environment or on-premise solution. There are many customers which are moving from SAP Business Suite to S/4 HANA and for 75% customers, it takes an average 6 months for migration project. SAP also offers SAP rapid deployment project to perform a fast migration to HANA platform and to SAP Simple Finance solution. Various SAP partners provide fixed price integration for few clients. Customers can use the customization even after migration of the system. Migration of SAP Business Suite to S/4 HANA is done via implementation package in the form of SAP Simple Finance and Simple Logistics, and many more. With SAP S/4 HANA, SAP is providing a new product and a next generation of business applications – simple enterprise software for big data and is designed to help you run simple in the digital economy. With the advanced features of SAP HANA, SAP S/4 HANA is designed for real-time business operations, planning, and BI analyses. Following is a SAP Fiori-based user interface of S/4 HANA solution, which provides role-based experience to its users. You can also define user preferences like – Language, Theme, Default values and any personalized search. Once you make the selection, click the Save button to save the user preferences. 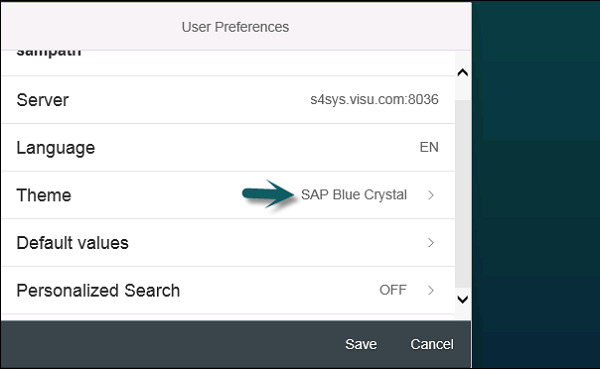 You can also customize the home page screen of SAP S/4 user experience by clicking the Edit sign at the bottom of the screen. You can select different home screen themes as shown in the following screenshot.